May 7, 2013 By Allyson 12 Comments This post may contain affiliate links. Read my disclosure policy. Last weekend my boss was hosting a baby shower, and she asked me to prepare a few things for the event. 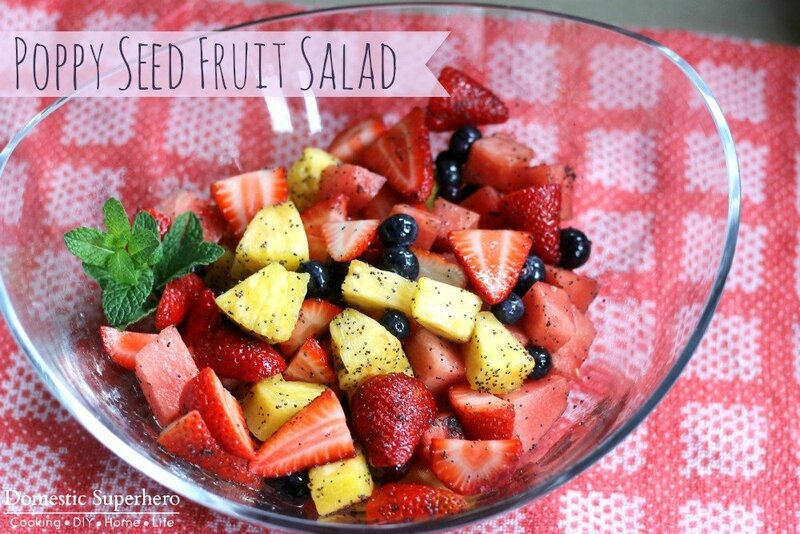 It was a toss up between this fruit salad, or a more plain berry fruit salad, but in the end this one won. I wasn’t sure about it when I first read the ingredients because I thought the glaze sounded a little funky. However, my suspicions were put to rest when it was all put together. 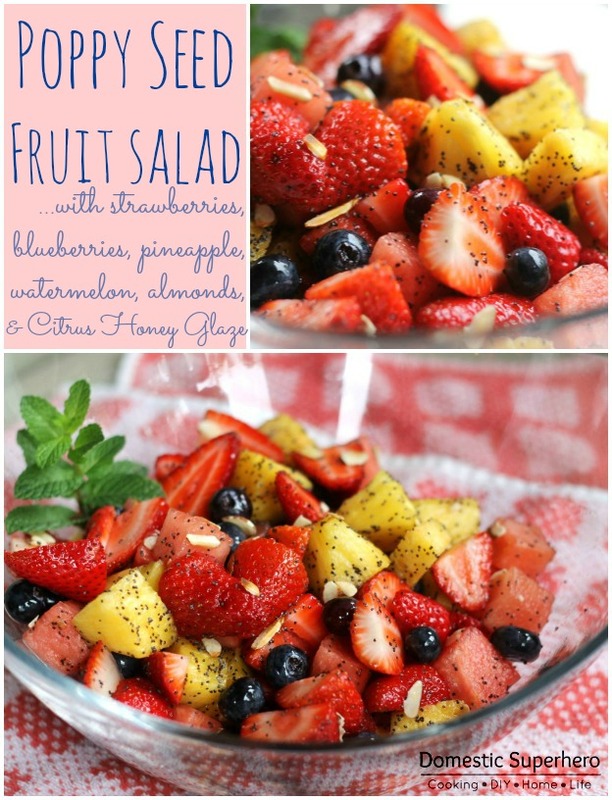 This Poppy Seed Fruit Salad with Citrus Honey Glaze is so simple, yet so pretty and tasty. The poppy seeds and almonds give it an added crunch, and the honey citrus glaze add a pop of flavor and juiciness to the salad. You can also feel free to add your other favorite fruits. Grapes, kiwi, bananas, and apples would all be wonderful in here. This is a quick and easy recipe that would be perfect for BBQ’s, baby showers, brunches, or a neighborhood potluck. The only note I would say is that I think the almonds aren’t totally necessary The salad is definitely tasty with or without them. Nutrition Facts: 3/4 cup equals 111 calories, 1 g fat (trace saturated fat), 0 cholesterol, 2 mg sodium, 29 g carbohydrate, 2 g fiber, 1 g protein. Like Domestic Superhero on Facebook for constant deliciousness! This may be on my diet! Yay! Thanks for sharing at Fluster’s Creative Muster Party! Looks so good! 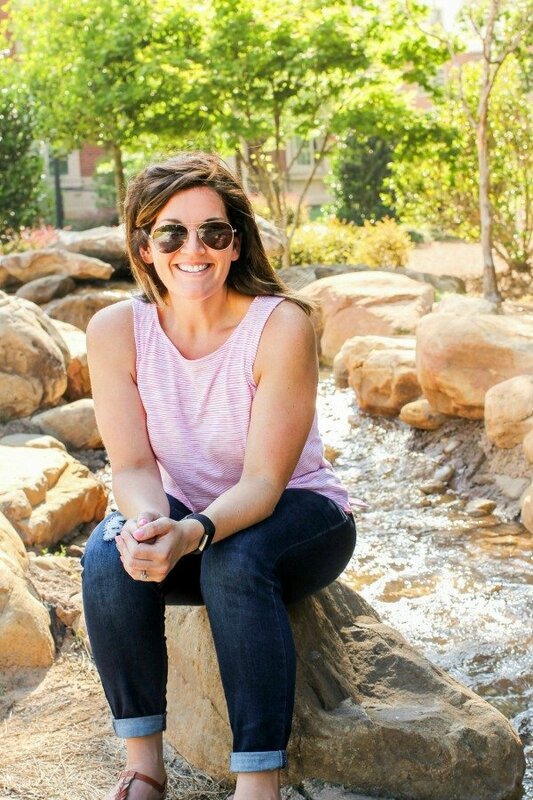 Cannot wait for summer! It is! You should definitely try it out! This is so tasty looking!! Strawberries and pineapple are on sale at my local grocery store this week. Perfect!